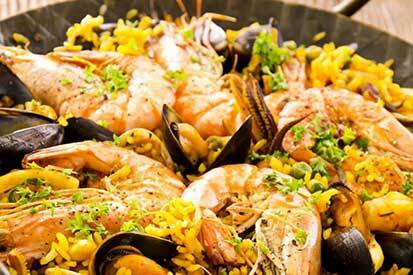 Crowd favorite PaellaDeliciosa is back with their flavorful Spanish dishes. They’ll be cooking on site from Noon–5:00 pm (or until sold out). The unique, authentic Valencian paella family recipes used at PaellaDeliciosa come from the owner’s great grandmother. What a treat. Get here early and enjoy.